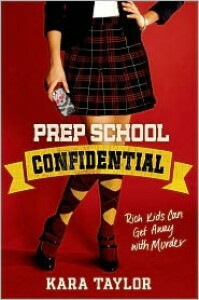 Prep School Confidential was a big surprise package for me. I wasn't expecting such a deep and twisted mystery, nor was I expecting to enjoy it as much as I did. I liked Anne, thought sometimes she seemed a touch too full of herself in the I'm-just-too-smart kind of way but it wasn't enough to put me off. Also her persistence to solve who killed Isabella had me wrapped up in the story so very little bothered me. All the characters felt so different from each other, and I didn't know who to suspect or point the finger at. There are a fair few characters in this story, but I didn't find it hard to keep track of as they all had some part in the story and mystery and their voices were different enough to remember them. I don't make it a hidden fact that I don't like love triangles as a writing device. Prep School Confidential did have a love triangle, and surprisingly (compared to those I have read) it is done really nicely, to the point I didn't know who I liked more. Anthony, Isabella's twin brother grew on me pretty quickly, though I feel he is still a little mysterious. Brent, Annie classmate, I wasn't sure of at first. I grew to like him as the story progressed. I loved the school description. I could picture this old school and all it's "secrets" (no more details than that - no spoilers) with no problems. Prep School Confidential had me guessing and questioning all the characters and their roles - did they do it, were they really like that - right until the end. And even that was a bit of a shock. Just when you think you figured it out, BAM, nope you didn't. 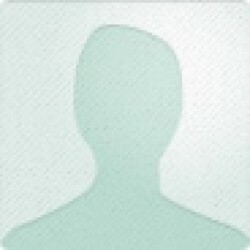 This is definitely worth checking out if you like mysteries and whodunits. A fun read with some very memorable quotes. See my blog post for an excerpt and my favourite quote.